Our "Taste Like A Pro" Series Now In Spirito di Vino Asia! 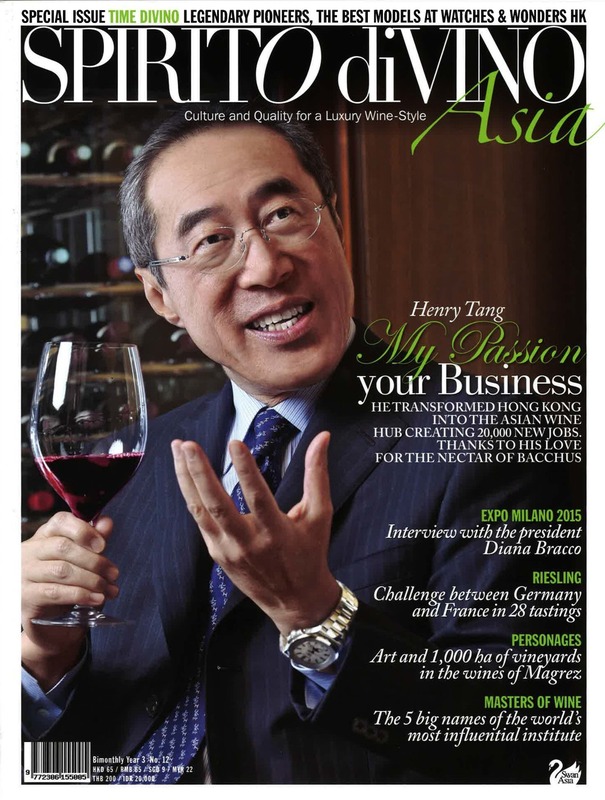 Our "Taste Like A Pro" series now a regular feature article of Spirito di Vino Asia ! Avid readers of this magazine will have noticed that we, at Spirito Di Vino, score wines using a 100 points scale. An article by Andrea Griganffini published in an earlier issue clarified the basis of each score. Basically, what we look for when we evaluate wine are balance, persistency, coherence and precision of style, complexity and finesse. But, what does these terms really mean and why are they important to our scores? A series of articles starting from this issue will aim to clarify the various criterions we use in our evaluations and provide our readers with the keys that will increase their understanding and confidence when buying wine. Ultimately, it is hoped that they will contribute to raise the pleasure our readers get from each wine. In this article, we focus on style and in the next we will concentrate on quality. Style is very different than quality and too often confused during wine evaluation. Style is the general personality of the wine. It helps a wine lover build an emotional and intellectual inner map of the wine world. Style guides decisions on price, drinking occasion as well as food and mood matching. Whites are often described as light & crisp like a Pinot Grigio or rich & full like a California Chardonnay. Others are fresh & aromatic or delicate & mature. Some reds are said to be light & fruity like a Beaujolais Nouveau or bold & powerful like a Barossa Shiraz. There are also smooth & medium reds and mature & complex reds. Weight is related to how heavy a wine feels on the palate. Think of weight as the “flesh” of the wine. Does it feel light as skim milk, for example, or is it heavy and bold like cream? The word “body” is normally used to refer to weight. It is mostly and directly related to the amount of alcohol the wine contains. The higher is its alcoholic strength; the fuller is its body. To a lesser extent, it also comes from fruit concentration and residual sugar. However, even though each grape variety has its own contribution to concentration, it is more important as an element of quality as it directly relates to the harvest quality. Residual sugar rounds the mouthfeel of the wine and further increases its weight. Finally, some winemaking techniques such as oak ageing and lees stirring can contribute to body but overall their effect will not be as important as will be alcohol and sugar. Structure is very important not only for the style of the wine but also for its quality and ageing potential, two concepts to be reviewed in future issues. If weight is the flesh of the wine, then structure is its skeleton, or backbone. It consists in the amount of and the interplay between alcohol and sugar versus acidity and, when present, tannins and carbon dioxide. Acidity provides freshness to the wine and it is often said to bring a dimension of “tension” to its structure. Tannins come from macerating the skin in the juice to get color and extra flavours. It contains important anti-oxidative properties but can make the wine feel coarse and hard. Alcohol is inevitable as wine is a fermented beverage. It provides a sensation of “mellowness” or “moelleux” as the French say. As does sugar, alcohol softens the harshness of the tannins and acidity. Carbon dioxide present in sparkling wine reinforces the sensation of acidity and has a very important impact on its texture. Texture is related to the sensual sensation of the wine on the palate. It can be said, like fruit concentration, that texture is more an element of quality than structure, as many techniques exist to influence the wine texture. However, each specific grape variety has its own contribution to make to texture. For example, Nebbiolo from Italy is naturally high in both acidity and tannins and may make the wine feel harsh and hard while Zinfandel from California is naturally rich in fruit concentration and medium to low in tannin and acidity making the wine feel smooth and rich. Aromatic character seems to be an obvious element of wine. However, not all grapes are created equal. Take Gewürztraminer, a quintessential aromatic grape variety. It naturally displays intense notes of flowers, fruits and spices. However, Melon de Bourgogne, used to make Muscadet in Loire is rather neutral in aromatics with only some citrus fruits and mineral notes, all very subtle. In an equal harvest quality, that some varieties are more aromatic than others does not mean one is better versus another. Aromatic character is a very specific personality trait of each grape variety and therefore intrinsic to the overall style of the finished wine. Specific distinction relates to the particular characteristic of the wine in the context of its origin, winemaking, and ageing potential. There is a very large difference in ripening potential between a cool climate and a warm one and each origin will leave a signature on a wine. There are also, if less and less, clear specific differences between wines from the New World versus those of the Old World. Winemaking philosophy and techniques are also fundamental. The effect of oak, i.e. vanilla notes, is an ideal example to illustrate how such techniques can influence the style of the wine. Finally, not all wines are made for ageing due to both market consideration and grape varietal characteristics. Some wine lovers highly value ageing potential as an inherent qualities and mature wine have strong appeal to such groups. However, most wine lovers today do not actually like these qualities and therefore do not value at all this characteristic. Some grapes do not have the natural potential to age while others do. The 5 elements described above are by large stylistic issues and are not directly related to quality. As we evaluate wine, it is necessary to acknowledge that one style of wine is not necessarily better than another. Each style must be evaluated on its own merit and each wine within a style must be evaluated only among each other. This is why, when we score a wine, we are concerned about coherence and precision of style. Is a Prosecco a Prosecco or simply a cheap imitation of Champagne? The best ones are certainly not and can, in their own style, be of excellent quality. To focus on stylistic differences when tasting wine using the 5 above elements will help build a mental map of the wine world and simplify decisions for matching with food or occasion. Quality must be assessed objectively using a set of criterions that will be used consistently for all wines within each style. In the next issue, we will review the elements key to wine quality.